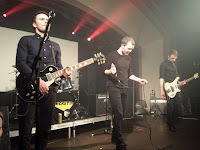 The final night of the Plant The Seed tour sees a welcome return to Scotland for Even The Stars Album of the year winners The Slow Readers Club. The last leg of the Plant The Seed tour and after dates in London, Birmingham, Sheffield, Leeds, Liverpool, Preston and their biggest headline show in their hometown of Manchester at a packed Gorilla, The Slow Readers Club end their tour as special guests of local favourites Mickey 9s in Glasgow. The Classic Grand is a wonderful venue which is something of a hidden gem. I've seen a few gigs here over the last few years and have been impressed - it retains period features from back in the day and as such has an air of charm and an edge that many contemporary venues lack. It lacks the pretension of other establishments too. The Slow Readers Club return to Glasgow having played the nearby Stereo venue back in March. Their reputation is clearly growing as the audience has swelled considerably since then. You could forgive them for rounding off the tour with a laid back performance. Instead, they are on a mission. Opening with an impassioned Fool For Your Philosophy wakes up the audience, who grow in numbers and with enthusiasm after each and every number - they talk though the slower numbers mind you. Sirens is one of only two early tracks to feature in the set tonight. Delivered at a blistering pace, it really captures the crowd. As the set progresses, it is incredible to note that there are no low points - the band rattle off a string of modern classics - Start Again, Days Like This Will Break Your Heart, Don't Mind, I Saw A Ghost, Forever In Your Debt and Plant The Seed. Start Again is great, upbeat pop song and followed by the heartfelt Days Like This Will Break Your Heart. One of their best songs, it showcases their diversity. 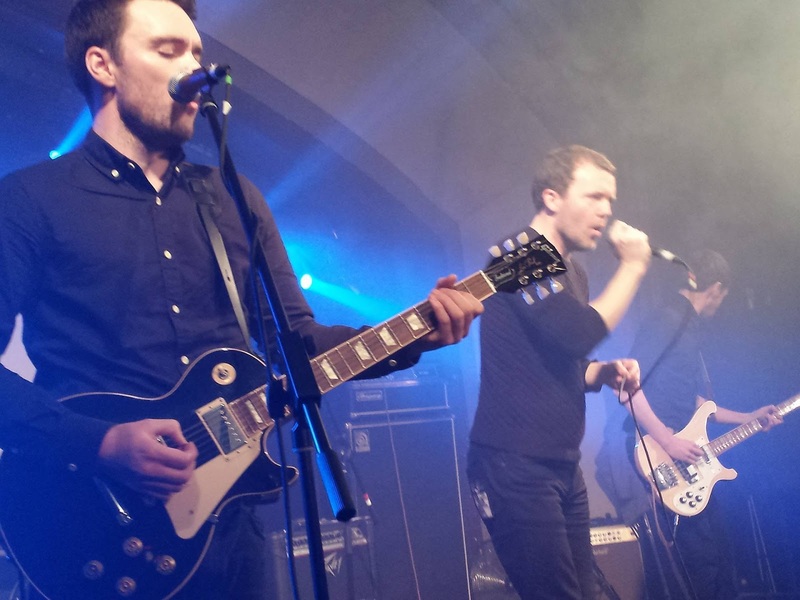 The Slow Readers Club are not your average band. They have that ability to draw the listener in, to command your attention. Don't Mind, the last slow song gets a great reception. “You can dance to this one if you like” quips vocalist and wordsmith Aaron before a storming Forever In Your Debt. Plant The Seed, the electrifying current single doesn’t get an introduction, but the music speaks for itself. It is one of the best singles of the year. A pulsating, vibrant, floor filler. We've commented before about how the band have grown in stature over the last year or so. Bassist Jim Ryan seems to have a knack of shifting it up another level with every show whilst guitarist Kurtis effortlessly oozes riffs from his Les Paul. At the back, drummer David is as sharp as ever. 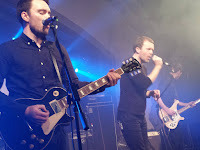 As if to demonstrate the band's growing confidence, they slow the pace down a little with set closer, the reflective Know The Day Will Come before a huge cheer from the crowd. The band succeed in winning over a new audience tonight. No mean feat in Glasgow on a lively Saturday night. A great way to end the tour and the year for them. No longer are they Manchester's best kept secret. They are making huge strides forward with every show in cities up and down the country. We look forward to more of the same in 2016.